VENEZUELA: Crisis Worsens As President-Backed Supreme Court Effectively Dissolves Congress In "Coup" - Joe.My.God. In a move that Venezuela’s opposition decried as a “coup,” Venezuela’s Supreme Court effectively shut down congress, saying it would assume all legislative functions amid its contention that legislators are operating outside of the law. The decision will undoubtedly increase tensions in the South American nation where the opposition-controlled congress was seen as a last bastion of dissent. The move is also a slap to the international community, which just this week was pressing the socialist administration to respect the role of the legislature and to hold new elections. The ruling essentially dissolves congress at a time when it was trying to push back against President Nicolás Maduro and the ruling United Socialist Party of Venezuela, or PSUV, which control virtually all the levers of power. The high court, whose judges have staunchly backed the leftist president in a power struggle with the legislature, based its decision on an earlier ruling that the opposition majority was in contempt of court. “As long as the National Assembly’s contempt of court and invalidity persist, parliamentary powers shall be exercised directly by (the Supreme Court’s) constitutional chamber or by the body it designates to safeguard the rule of law,” it said late Wednesday night. 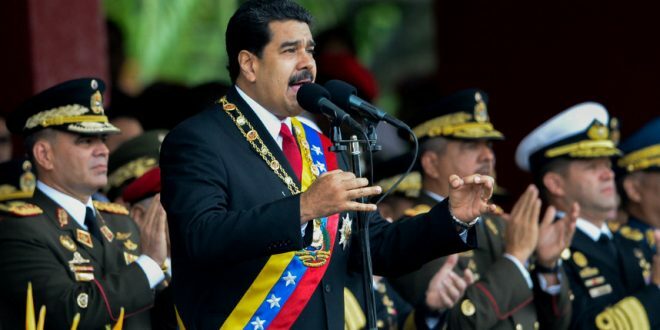 The ruling came a day after the Organization of American States (OAS) held a special meeting where 20 countries voiced concern about the situation in Venezuela, drawing a furious reaction from Maduro. The meeting was the international community’s latest effort to get to grips with Venezuela’s unraveling, which has the rest of Latin America worried. The legal dispute stems from accusations of fraud in the 2015 congressional elections, where the opposition won a landslide victory amid a wave of anger over widespread food shortages and skyrocketing inflation. Three opposition lawmakers were accused of foul play and the Supreme Court says any decision taken by the National Assembly is null while they remain in the chamber. While the opposition saw their legislative initiatives stymied and their efforts to unseat Maduro blocked last year, more recently they been emboldened by efforts to deprive the cash-strapped government of international financing as it scrambles to kick start a moribund economy and make good on billions of dollars in debt payments that come due later this month. The opposition has warned investors that any fresh loans approved without congress’s approval would be considered illegal and future governments would not be obligated to pay the dues. White House press secretary Sean Spicer this afternoon declined to speak about the accelerating crisis, saying that questions are best directed to the State Department.